Click the button below to add the Westinghouse 60 Gallon WGR060NG076 Highly Efficient Stainless Steel Natural Gas Water Heater to your wish list. 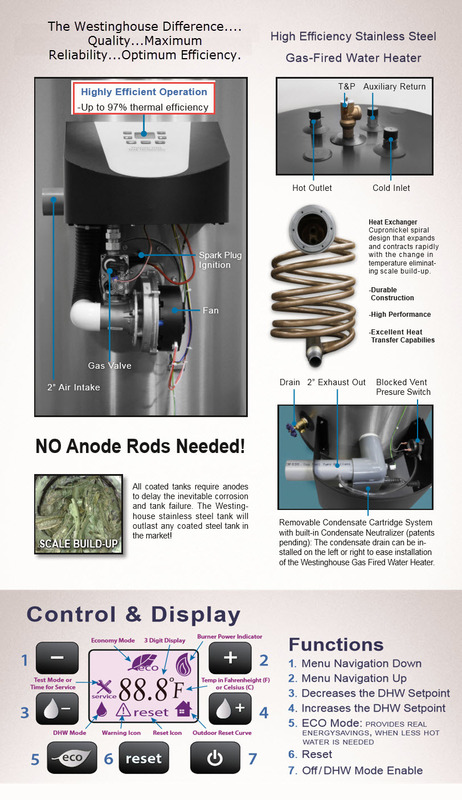 The Westinghouse Premium line of Gas Water Heaters are highly efficient. They are Energy Star rated and have up to a 97% thermal efficiency rating, and with their superior stainless steel construction also provide both optimum efficiency and maximum reliability, offering unmatched performance. 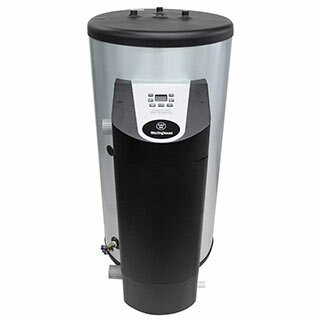 The Gas Water Heaters also have ultra-low NOx emissions providing additional environmental savings due to its state of the art combustion control system, which minimizes levels of nitrogen oxide. With its patented design and multiple venting options, this product is perfect for residential and light commercial applications. It is available in 50, 60 and 80 gallon sizes to meet a wide variety in system needs.